That’s right. According to reports in the Mail, Carl Froch is trying to make the decision whether he will take one final step with his boxing career and take on the Kazakh born beast Gennady Golovkin, or whether the time has come to hang up his gloves for good. Froch has all but reached the end of a career that has seen him become a four time world title holder at Super Middleweight. In an era in which the media like to tell boxing fans that this fighter is ducking that one, Froch is certainly not a fighter that accusation can be hurled at. Even before signing up to participate in the Super Six tournament, Froch took on dangerous, top tier, opponents to achieve his goals. His boxing style, punching power and ability to box or brawl as the situation requires has led Froch to become a fan favourite the world over. Add to that the dramatic late stoppage of Jermaine Taylor in 2009, two back and forth battles with Mikkel Kessler in 2010 and 2013, and picking himself up from the mat in 2013 against the unheralded George Groves and Froch has created a legacy that will be remembered for a long time. Froch never says die, he never stops trying and he fights to the last bell. When Carl Froch fights there’s usually excitement. Froch has now reached a crossroad that all fighters reach. He knows how close he came to losing to Groves, and he sees that it’s because he felt Groves was undeserving and no threat. That belief led him to take Groves lightly, and was almost his undoing. 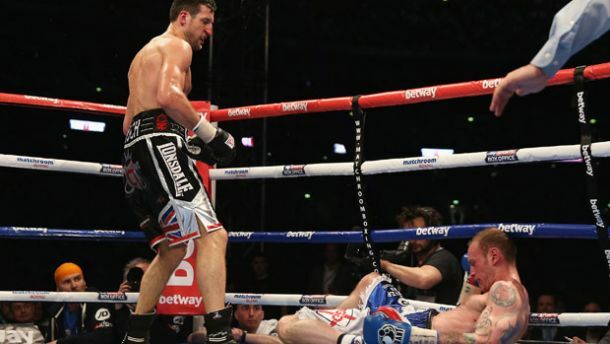 After having to pull himself out of the fire in his first bout with Groves, Froch went on to prove to the world that he was the better fighter without a shadow of doubt with an excellent stoppage victory at a packed Wembley stadium. Golovkin, the man who Froch may decide to delay retirement to face, is another fan favourite, all action fighter (albeit on a lower scale). The reigning middleweight kingpin is a ferocious puncher who has stopped 30 of his 33 bouts early, including 20 in a row with his knockout victory over Willie Monroe last weekend. Fans love to see action and knockouts and Golovkin brings both in droves. 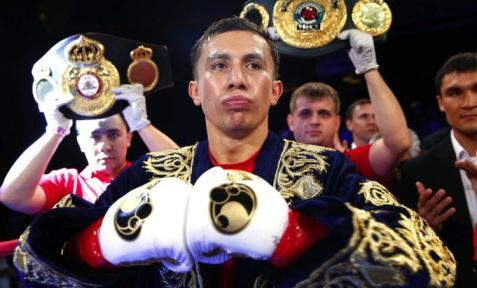 Having spoken often of his desire to be considered the best fighter around, Golovkin is missing marquee bouts and high caliber opponents from his resume. He holds a string of victories against capable fighters and title contenders but he knows that is not enough. Being able to blow away every contender on the planet will sell fight tickets and pad your resume, but Golovkin knows it won’t put your name in talks about who was the greatest ever fighter. That puts Golovkin in an awkward position. He needs to take on a big name fighter and impress to push his career to the next level, but he cannot find a big name fighter ready and willing to get in with him. Golovkins lack of name recognition makes him a low reward fighter for the big guns to take on, while his punching power and boxing prowess make him a very high risk opponent. So Golovkin stays busy, fights more contenders, knocks them out and builds more of a reputation as a fearsome puncher, thus making him higher risk than before. Given his age, at 33, Golovkin cannot sit idly by and wait for the right opponent, he must stay busy. 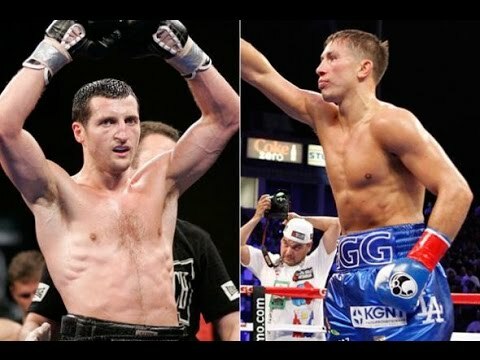 Froch vs Golovkin Smart for Both Sides? For Golovkin this bout makes perfect sense all around. Froch is a big name fighter, holds victories over a number of high profile fighters and has lost just twice in his career – once to Mikkel Kessler who he beat in a rematch, and once against Andre Ward, a puzzle nobody has figured out to date. Add to that the fact that to face Froch, Golovkin would have to step up in weight and show his class against a bigger fighter and there’s is a huge upside to a victory over Froch. Even a loss to Froch wouldn’t be that devastating for all the same reasons listed above. Froch is bigger. Froch has more experience in big fights. Froch has that never say die attitude to his fighting. For a middleweight to step up against such an opponent and not be able to better him it’s not going to spell the end of the road for the man, although obviously losing won’t be the desired result. For Froch, the only thing he truly has to gain from fighting Golovkin is a sense of personal satisfaction. Froch has achieved more in his career than many would ever dream of. The lure of a fight with a guy like Golovkin is to see if he can figure out the puzzle. At the very end of his career, Froch is still looking to challenge himself. He could no doubt take an “easy” bout and have one final payday to add to his earnings. However, the warrior heart and the reason he got into boxing was to face challenges head on and try to find a way to be victorious. Golovkin is a beast of a puncher, a guy who hurts everyone he faces and stops most of them in their tracks. All fighter, however, have a weakness and Froch wants to search for that weakness and see if he can exploit it. For Golovkin this fight has a huge upside for his career, his future and his place in history. If he defeats Froch then other top fighters can no longer use the excuse that he’s not stepped up to take on a top fighter. They have to then be willing to give him a shot at them and it opens the door for some blockbuster bouts. Froch is looking for personal satisfaction. To go out as the man who was able to defeat such a feared fighter as Golovkin would be one hell of an achievement. Froch said in the Mail article that if he fought Golovkin he would attack him, and that’s something we’ve not seen happen much to date. Much like Mike Tyson in the 80’s and 90’s, Golovkin already has a partial victory before most of his fights even begin. His power and knockout percentage has opponents planning on surviving early before trying to attack late. Because of that he’s able to dictate the early portions of the fight. In Froch, Golovkin would find an opponent who is not intimidated by his power and will look to take the offensive and see how Golovkin fights off the back foot. A bout between the two, for just that reason, would be very intriguing. Curtis Stevens tried briefly to attack and landed a couple of decent punches before taking his foot off the gas and allowing Golovkin to dictate the tempo. Martin Murray sat and tried to counter punch and though he was on the losing end of the fight, he landed some nice counters on Golovkin and showed us that Golovkin’s defense is not always as solid and precise as his offense. Froch’s chin, as we all know, is not too tough to hit. He carries his lead hand low and has a tendency to lean in when attacking. He also squares up way too much when throwing combinations, leaving him open to knockdowns when hit cleanly as was the case against Groves. 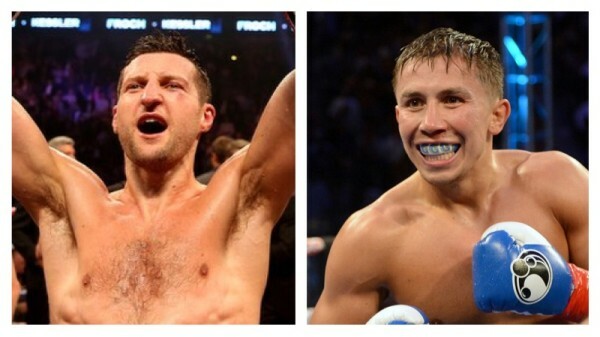 When Froch attacks, and we know he will, how will Golovkin respond when moving backward? Will he have accurate and precise counter punches? Will he go into a defensive shell and hope Froch punches himself out? Will he try to spin away and go immediately on the attack himself? This is a tough bout to call. Golovkins power will always leave him in with a chance of stopping the fight at any second, but Froch is no slouch in the power department as his knockout of Groves at Wembley showed. This is a head vs heart decision for me. My heart will always be with Froch whenever he steps in the ring. The passion he brings with him to his fights means I always want him to find a way. However, in this case my head disagrees. Logic takes over and my brain tells me to remember how easy Froch is to hit, how he can often be caught flat footed and how quick to pounce on a weakness Golovkin is. Add the tremendous power of Golovkin to the killer instinct he carries and he goes in as the clear favourite. I pick Golovkin to win this bout, but it will end his knockout streak. He will put Froch down in the middle of the fight, but Froch will battle on to the end and the last 2 rounds of action will be all Frock looking for a late knockout. Ultimately, Golovkin will have done enough to secure a points victory.